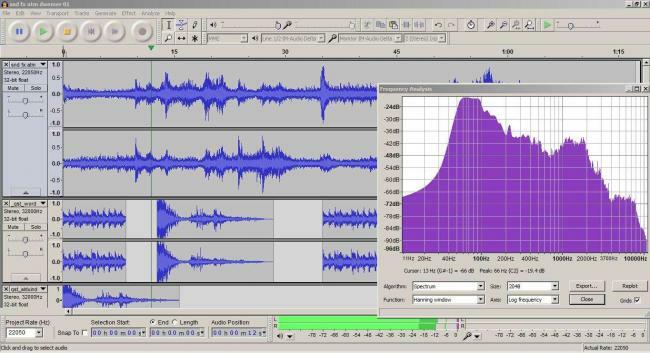 When you are writing of software for audio free and open source, I believe that the first thought in the vast majority of cases, falls on Audacity, a powerful tool very appreciated by professionals and amateurs; as well as the best free software for processing digital audio. In fact Audacity is an audio editor, which allows you to work on your sound samples making changes and working with many kinds of audio processing. Audacity is also a multi-track recording software, capable of transforming your PC into a complete recording studio, offering the professional features that make this software highly competitive if compared with its competitors not free. 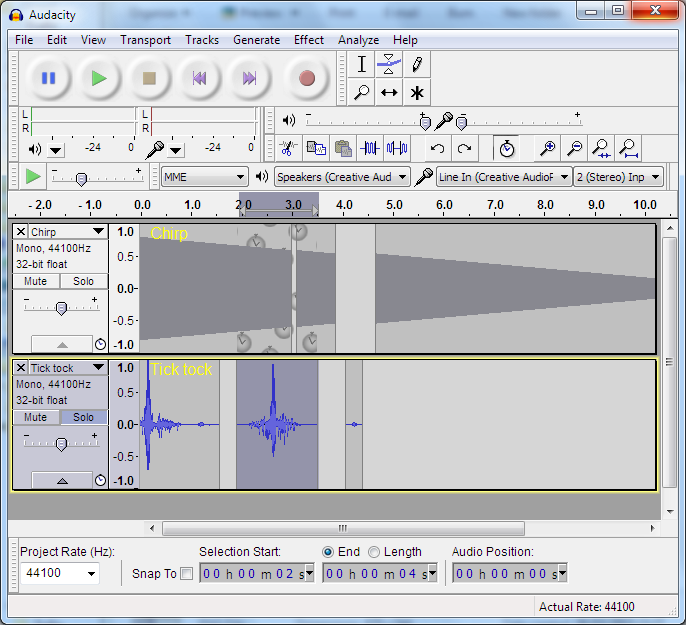 A screenshot of the Windows version Audacity. 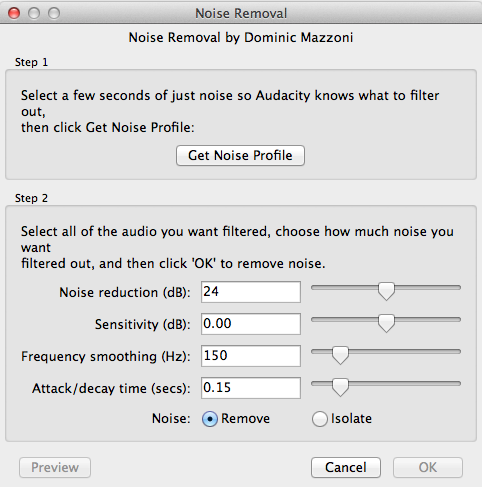 Another image of Audacity. On the right the window of the analyzer frequency, one of the many features that the software offers. Audacity is multi-track, as I mentioned before, and it is also multi-platform. Indeed, it is available for Windows, Mac and Linux. I recommend you take a look at the page Download for other special needs. Audacity is “multi” for another reason. In fact, the platform has been translated into many national languages​​, so Audacity is also multi language, which testifies further fame. Another strong point of this software is its community of reference, which is actively working to improve the software and provides support materials. Among these it is worth mentioning the reference manual, tutorials and the forum, widely used by users of this free audio editor. Let’s not forget the resources offered by YouTube. Lots of tutorials available, in addition to those already on the official site. For a look at those published on the YT please click here. The latest version of Audacity, released at September 2014, is the 2.0.6; who has little news in respect to the previous version, released one year ago. And you, what use do you do? It would be interesting and useful to read some comments describing your experience with Audacity.